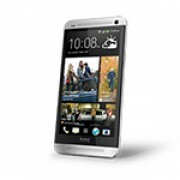 Unlock HTC One Mini - Safe IMEI Unlocking Codes for You! Unlock HTC One Mini Handset! In case your One Mini doesn't ask for the code and there is no designated field to enter it, please DON'T PLACE ANY ORDER, contact us first for support. Proud by your new HTC Mini device? Looking to use it with any SIM Card Worldwide? If yes, use our 100% safe service and unlock in just few minutes your smartphone! Our unlock codes works for the latest models of HTC, such as: HTC One, Desire 600, HD7 and many more! We are able to unlock the most GSM Carriers including O2, Movistar, AT&T, T-Mobile, Rogers, Fido, Bell, Telus, Vodafone, Orange, Three and all other major service providers. 1. Send the IMEI. (Find the IMEI by dialing *#06# on your phone or by checking the sticker underneath the battery) The IMEI is a 15 or 16 digit number and is unique. How to Unlock HTC One Mini Phone - Tutorial! Please find bellow a step-by-step guide to follow in order to unlock your HTC One Mini. The IMEI, the network and your email address where you want to receive the code! 2. Check the price and availability and proceed to payment, using your PayPal account. 3. Soon your email the unlock code for your handset. This code is an 8 digit or a 16 digit code, depending by your handset model! Can you provide code for HTC Mini device from Orange Spain? can you help me unlock my handset from Vodafone Sweden? I need help to unlock my HTC Mini device from US Cellular. Do you have unlock code for HTC Mini device from Spain Orange? can i get the refunds right away in case the codes wont work after trying? I need help to unlock my HTC Mini from At&t Montana. Is the code available? Do you have codes for HTC Mini from Honduras Digicel? Hi James! Yes, the codes for your network are available. Just please use the form or email us for more details. Thank you! I owned HTC Mini from Telus Canada,do you have codes available? Hi Mon! Yes, the codes are available for your smartphone. Please use the form to submit an order. Thank you! I would love to recommend your site the fast assistance was great. Thank you for using our services Jody! Can you help me with my HTC Mini device from cayman digicel? Hi Vic! Yes, we should be able to get a code for your device. Please fill the form and the system will show you all the details needed. Regards! Can you unlock HTC One mini from SFR France? Hi! Yes, we should be able to unlock this device.Please fill the form for more details!